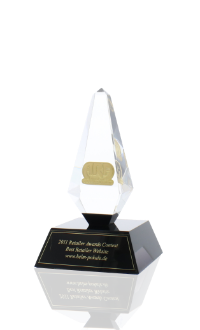 Buy your trophies, medals and awards from one of the most powerful and award-winning companies in the award industry. Our company has been known in German-speaking countries since 1998 under the brand "Helm Pokale" for its good quality, top service, high delivery speed at a very good price-performance ratio. Through our clear focus on the trophy, medal and award industry, we offer you optimal service through expertise, specially adapted processes and systems. 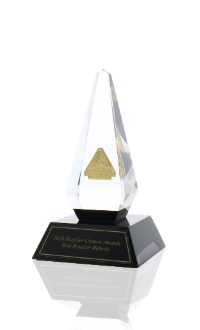 On January 31, 2013 we were awarded by the ARA (Awards and Recognition Association) at their International Awards Gala in Las Vegas. 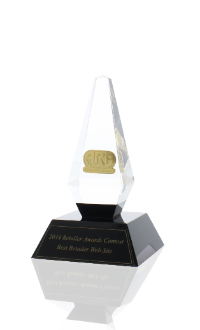 In the category "ARA Large Retailer of the Year 2012-2013" we were selected as the winner of the competition. The ARA (Awards and Recognition Association), which organised the competition for its members, is the largest association in the trophy industry worldwide..
“Retailer Web Site of the Year 2011"
The Awards and Personalization Association[formerly: ARA (Awards and Recognition Association)], which organizes the competition for the websites of its members, is the the world's largest association in the trophy industry.